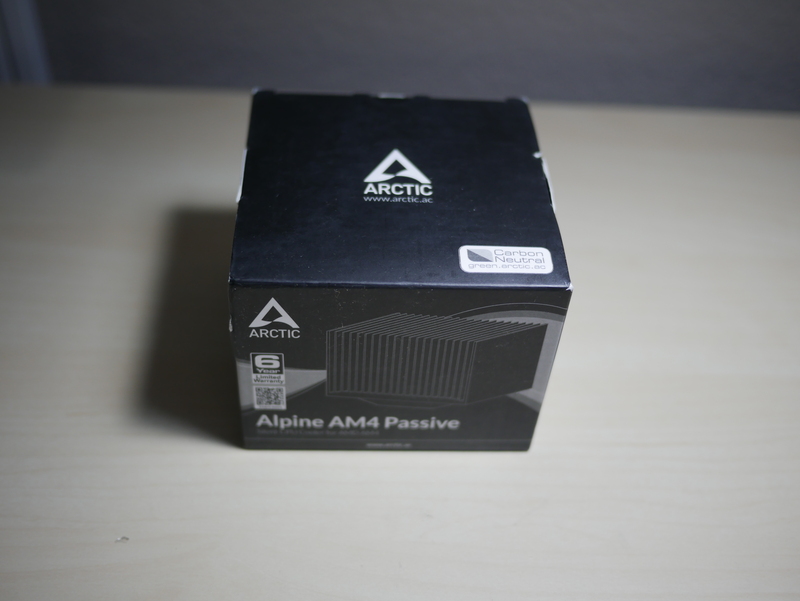 Arctic Alpine AM4 Passive CPU Cooler, can it keep up? Arctic is a company that has made its name in cooling. They have everything from their famous thermal paste MX-4, to AIO CPU coolers and also air coolers for the CPU and GPU. 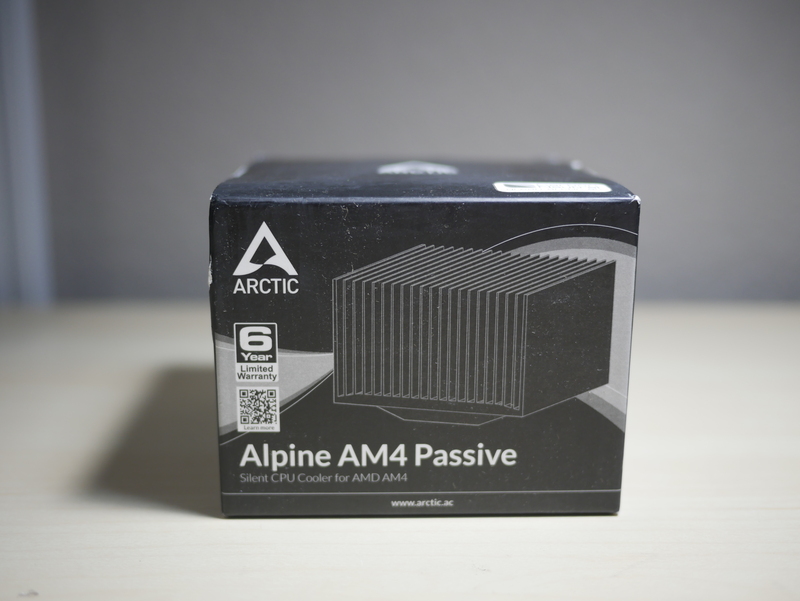 Today, we are going to take a look at a product that is aimed the lower TDP for CPU coolers, the Arctic Alpine AM4 Passive CPU Cooler ($12). 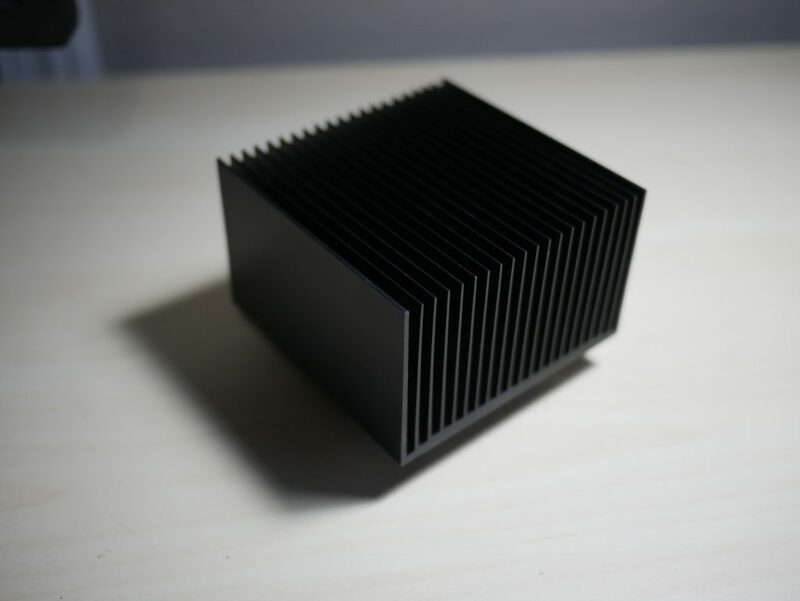 Black Anodizing for Improved Heat-dissipation: The micro-porosity resulting from the heatsink surface treatment optimizes the heat exchange between the aluminum and the surrounding air, thus the cooling performance in passive mode is greatly improved. Pre-applied MX2 Thermal Paste: Thanks to the pre-applied MX-2 thermal compound, a quick and clean installation is guaranteed. Easy Installation & Optimal Compatibility: Fast and easy to install and extremely reliable, the Alpine AM4 Passive mounting system is compatible with AMDs AM4 socket, which is used for Ryzen CPUs. It is not only fool-proof to install, but also absolutely transport safe. Multilingual Manuals: We offer a regularly updated user manual in many languages conveniently at your fingertips anywhere and anytime. Put the QR code sticker at a place of your convenience and never waste time again looking for product instructions. As we take a closer look at the box, you are greeted with a nice black and white color theme on the box. On the front of the box you have the Arctic logo, the picture of the cooler and the mention that the cooler has a 6-year warranty. 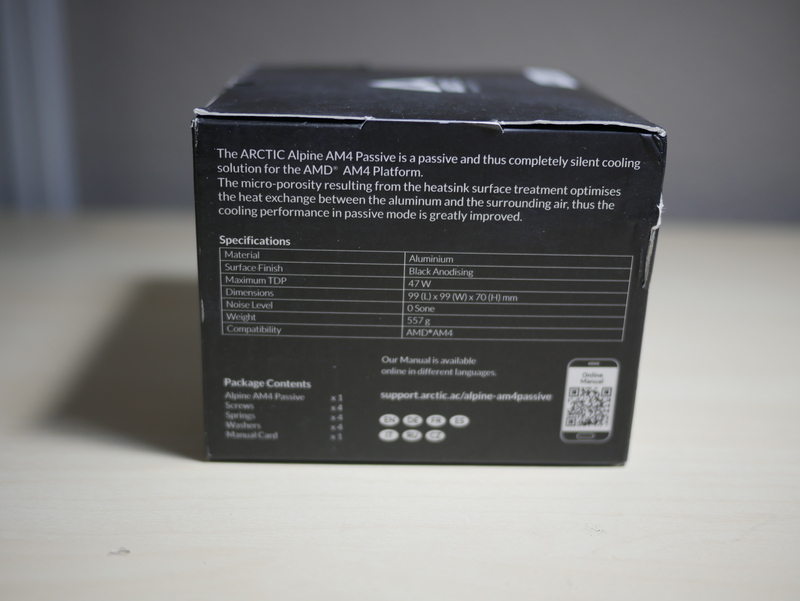 The top of the box has the Arctic logo and a stamp that the product is carbon neutral. On the left side of the box you have the specifications and package contents listed. The right side displays some of the features of the cooler. The back also has some features listed in several languages. 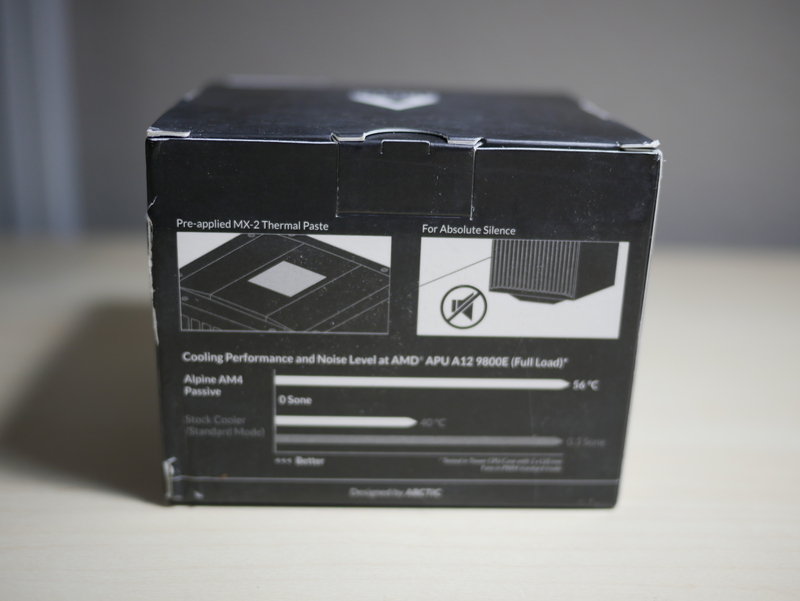 When we open the box, you notice that the cooler is packaged with a plastic cover to protect the thermal paste and the base, along with the instructions QR code. Also, inside the box, is the accessories bag that has the 4 screws, spring and lastly 4 fiber stickers to protect the motherboard from the screws and springs. Taking a closer look at the cooler, as previously mentioned there is a plastic cover included to protect the cooler baser and also the thermal paste that is pre-applied. 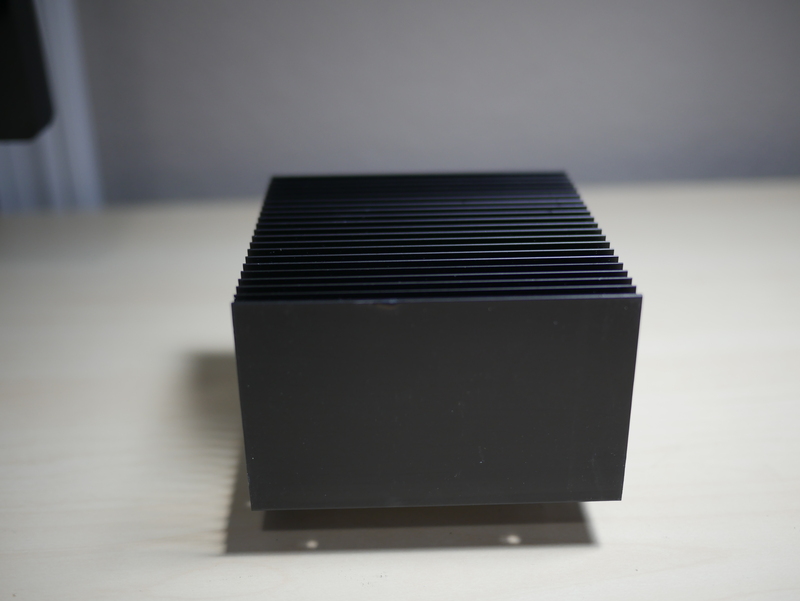 The cooler itself is a large aluminum heatsink block with 21 fins machined in to add to heat dissipation. 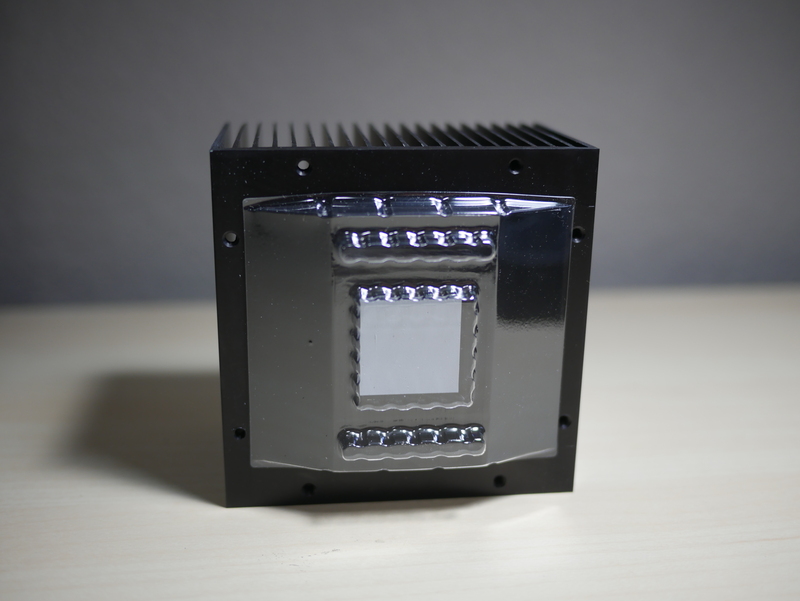 The entire block is also anodized in black to further aid heat dissipation with the surrounding air. ROG Realbench 15 min Stress Test: This test is accomplished to put a realistic load on the CPU/GPU. It runs LuxMark and Handbrake to stress the CPU, cache, GPU and RAM of your system. Rise of the Tomb Raider: This game is less demanding on the CPU and more demanding on the GPU but is a great title to benchmark game performance. Cinebench R15: This is a great CPU test to use all of the threads on your processor. Installation was very simple. Make sure to remove the stock AM4 cooler brackets. Set the Passive cooler upside down on a flat surface. Place the motherboard face down on top of the Passive cooler, aligning the cooler holes. Apply the felt stickers to the CPU cooler holes and then using the provided screws attach the heatsink. The following are what I believe to be a great group of real-world representative tests to be able to stress the CPU and integrated Vega GPU and lastly the CPU cooler that is attached. Since the Athlon 200ge is impossible to obtain at this time, testing was conducted with a 2400g underclocked to simulate the 35w TDP 2400ge. 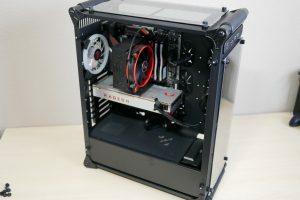 The ambient temperature of the room during testing is 20 C. The testing was conducted with the 2400g underclocked to 3.2 Ghz base clock and the Vega GPU left at stock settings. A few tests were also conducted with a fan providing low RPM airflow over the cooler. During testing the hottest package temperature is recorded. The Arctic Alpine AM4 Passive cooler was able to keep the 2400g at 40 C with no airflow and 28C with minor airflow over the cooler. When testing Alpine AM4 Passive you can see that it is able to shine, keeping the 2400g at bay with a temperature of 59 C.
A very impressive result is the Alpine AM4 Passive was able to not only complete the Realbench 15 min test with minor airflow, but it was able to hold the 2400g at a max of 78 C during the test. 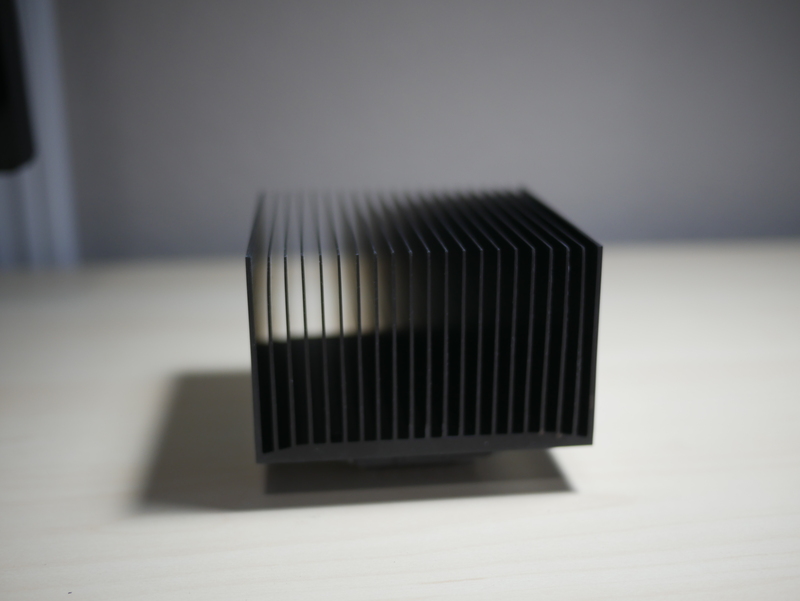 Without any airflow, the cooler was not able to pass the test. For Rise of the Tomb Raider, the Alpine AM4 Passive was able to impress with 52C with minor airflow. During testing of Cinebench R15, the CPU test and OpenGL test were accomplished. In the CPU test the Alpine was able to settle the 2400g with a temp of 74C with airflow and 75C without. In the OpenGL test the Alpine was able to keep the chip cool at 51C with airflow and 70C without. There were a few stress tests that were not able to be completed without airflow such as, ROTR, Metro LL and Realbench. I stopped these tests in the no airflow runs because the Passive cooler had difficulty dissipating the heat given out when not only the CPU, but GPU were under heavy load. I believe that the warm air just stayed stagnant in the area and without movement the cooler began to heat soak and temps continued to rise. With a little airflow provided by one fan the Passive cooler was able to keep up with the simulated 2400ge. I believe this cooler would do great on a 35w TDP CPU or APU, I just can’t confirm with testing at this time due to not having a CPU that has a TDP that low. 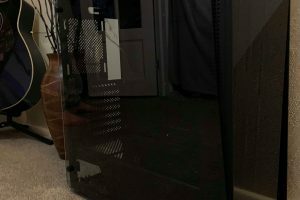 I might revisit this review when the Athlon 200ge becomes more readily available. Bottom Line Overall, the Arctic Alpine AM4 Passive cooler is an impressive and simplistic cooler that works. I tested with a CPU that had a TDP that was higher than 35W, but with minimal airflow it was able to still able adequately dissipate the heat. If you are looking for a cooler that is not only quiet, but also fits with your 35w TDP CPU, wait no longer and pick up this affordable cooler.